BREAKING NEWS: Chris Raabe WINS Grandma's Marathon in a PR of 2:15:13! Unbelievable! 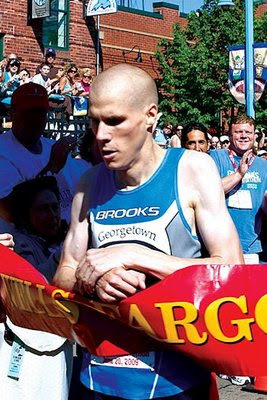 Now there can be no debate as to who is the best DC based marathoner. There was no debate before in my opinion. I was simply making light of the ridiculous post from ~ a year ago that was something along the lines of "Raabe vs. Wardian, who is the best?" Not to state the obvious...but holy s***, that's pretty damn quick.